If there’s one thing most of you guys know about me, it’s that I’m a huge Mad Men geek. At the end of this most recent season, Bobby is taken to Disneyland, and he says this really poignant line: “I don’t want to ride an elephant. 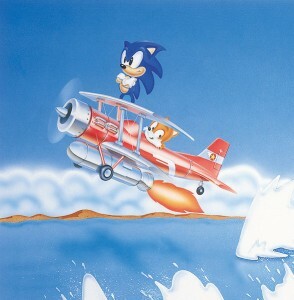 I want to fly a jet!” Therefore, I guess it’s time to not only look back, but open our eyes to the future of Sonic Retro. Yeah, it’s time for one of these again: State of the Retro. You may remember the PartnerNet Leak of Sonic 4: Episode 1 quite a while back, which sent the community into an uproar over several questionable design choices Sega put into the game. Thanks to a slight slip of the hand on Sega’s part, the company accidentally uploaded the same build up on the Wii’s Shopping Channel over in Japan. For a small period of time, people who purchased the game received this build until it was taken offline and replaced with the actual final build. But as with all slight slips of the hand, just a few minutes is enough time for things like this to leak out on to the Internet and pop their way onto YouTube. Forum member 1stKirbyever has taken the time of tracking down said leak and recording a 55-minute playthrough of the prototype Wii version, noting differences between this leak, which includes the infamous pinball and mine cart stages, and the final build. Look below for a full breakdown of differences without watching the whole video.